After the festivities of the 4th of July fizzle out, we have the long hot days of summer ahead of us. What is your survival plan?...And why just survive? Why not thrive….AND have FUN! The one thing we all can do and it really does not cost any money at all is read. After all, the family that reads together, grows together. I heard an author comment on his approach to reading in his family recently on the podcast “Think Out Loud” (OPB/ NPR). He recommends that you think of your kids’ reading in the summer like time at the amusement park. Letting them pick the ride correlates to letting them pick what they read in the summer. When I think about it, it makes sense. If they pick the item/topic to read, they will read it. He keeps it simple by making sure they all read together twice a day. Around breakfast time—a luxury for him he acknowledges as he starts the day with the family due to his ‘hallway commute’ of a flight of stairs to his writing office. And they read together in the evening – all electronics off. Yes, we all have books on digital devices, but I like his approach. 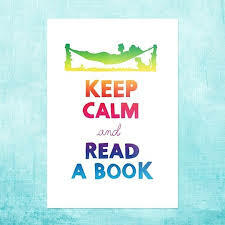 Unplug and use the time to read aloud to each other, or read around the fire pit or in comfy hammocks or chairs. Your children will thank you for this delightful and delicious summer time routine that can be a tradition they practice all lifelong. To ensure there is enough to read during the evening reading time, his family goes to the library once a week—sometimes more. There are a lot of fun ways to make your summer enjoyable and thriving. Intentional, easy, fun activities to add to the daily reading ritual will make for a summer that sparkles with interest instead of frustration. With this basic EASY, Low or NO Cost plan in place, your week will go by fast as you share with family and friends wonderful slow connecting activities like taking walk, playing a board game and perhaps a game of tag or corn hole. Share with us over on our Facebook page https://www.facebook.com/finetunedfamilies/ how you and your family are choosing to thrive this summer by sharing reading time together. What is the book or topic that is hot for your young readers? 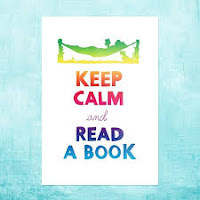 We are wondering what we should read next… let us know how your summer amusement of reading and connecting plays out!